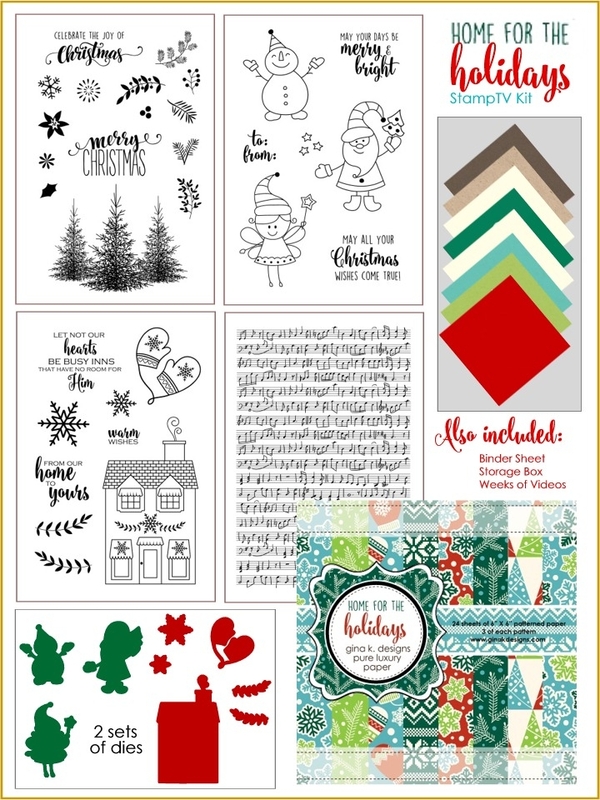 Gina K. and the illustrator team have been extremely busy preparing so many fun stamp sets with a variety of images and sentiments to make an abundance of incredible cards and holiday projects! And now The Cast and Crew for Gina K. Designs welcomes you to day one of another fabulous blog hop celebrating the new Home for the Holidays StampTV Kit as well as a number of gorgeous stamp sets by our illustrators. 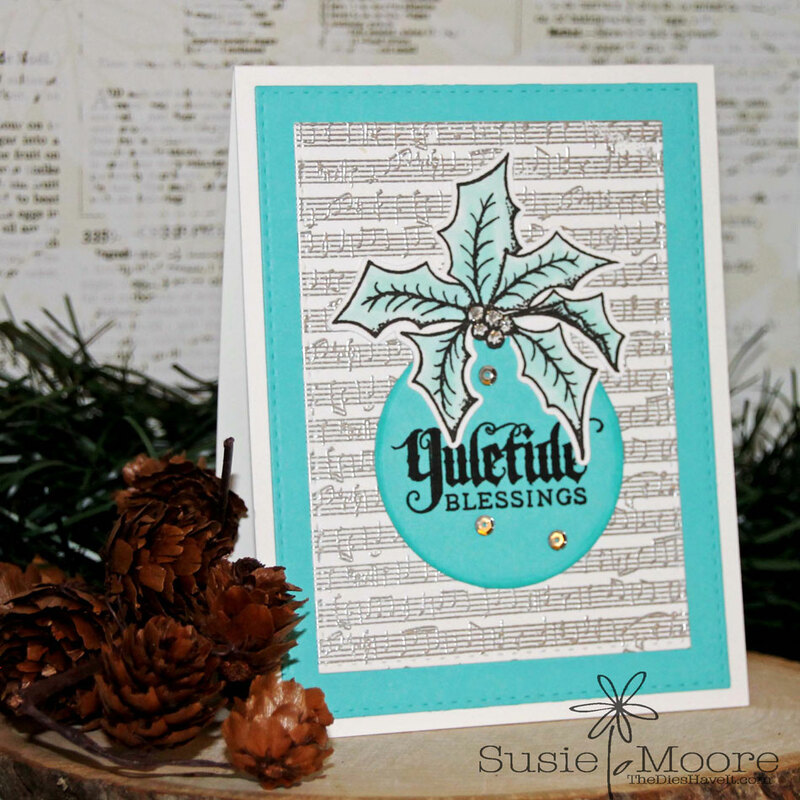 We hope to inspire you with some beautiful card projects as you hop along to each of the designer’s blogs! 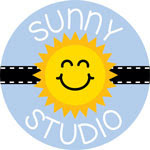 Today, we are featuring some of the stamp sets from the kit and some of the designers will be sharing projects from the new 'Tis the Sea-Sun stamp set with you. 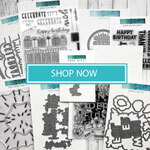 And don't forget - there are matching dies for this set too! Just great! I love the red snowflakes above the trees, like Christmas fireworks! 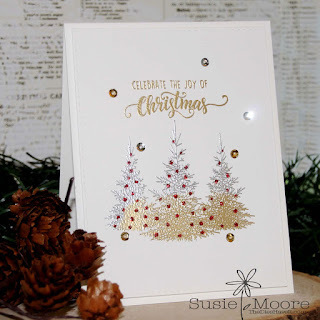 And the gold tree design with red accents is just perfect! Love how you used the trees! Great cards. Really love your use of the trees. Susie, your cards are beautiful! Love the embossed trees. These are awesome! I love how the fairy peeks off the edge of the tag! Really gorgeous cards! I love how you've inspired us with the way you have used the new kit! You always rock the mixed metals, your trees are amazing. I love all your cards, but I especially love your multicolored gold and silver embossed trees. Very nice idea. And the addition of the red balls is great. Thanks for the inspiration, and thanks for sharing. Beautiful.. I really like the trees embossed in gold and silver. The card with the trees and red snowflakes is a real wow. These are wonderful! The snowflakes above the trees in their red color are so festive. The fairy breeds cuteness overload. The gold and silver trees are very nice. All of these are beautiful but I particularly like the last one with the shiny trees. So pretty! Great cards! Love these trees! Beautiful cards! I especially like the two with the trees. Great cards. 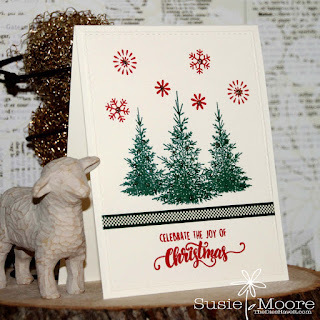 Those trees are so pretty and I love the red snowflakes on the first card - really gives a nice pop of color. Fabulous cards, Susie! 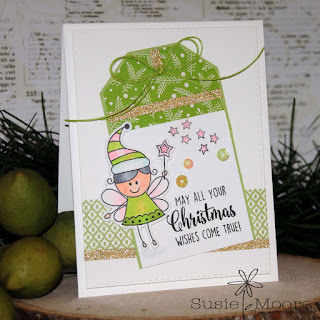 I really love the embossing on your last card! Love these card ideas. Thanks. Lovely cards. Love the variety of inspiration. Love the cards with the trees. Beautiful cards! Those trees and music make outstanding designs. Super cute! Love the silver and gold on the last one... great technique! Beautiful silver and gold trees...elegant card! 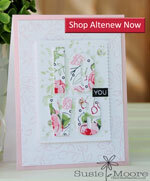 Beautiful cards using the new Stamp TV kit. Everything is so well done too! Interesting cards. 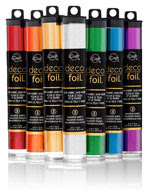 Crazy about the bicolor foil look trees. Very inspiring. Love them all, I just couldn't even begin to chose a favorite. How gorgeous is that first one with the red snowflakes! LOVE it! Love all of them but that one is da bomb! Love them all but those trees are fantastic!! Stunning cards. I like their simplicity and elegance. Thanks for the inspiration. Beautiful cards! The last one is my favorite. Love that gold embossing! That card with the red accents on the trees is my favourite. All are lovely but that one really appeals to me. 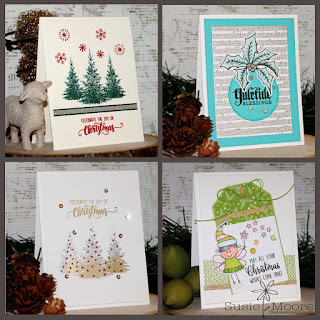 Beautiful cards... My favorite is the card with the gold and silver trees, just lovely! I like the elegant Celebrating the joy of Christmas card. Great cards! 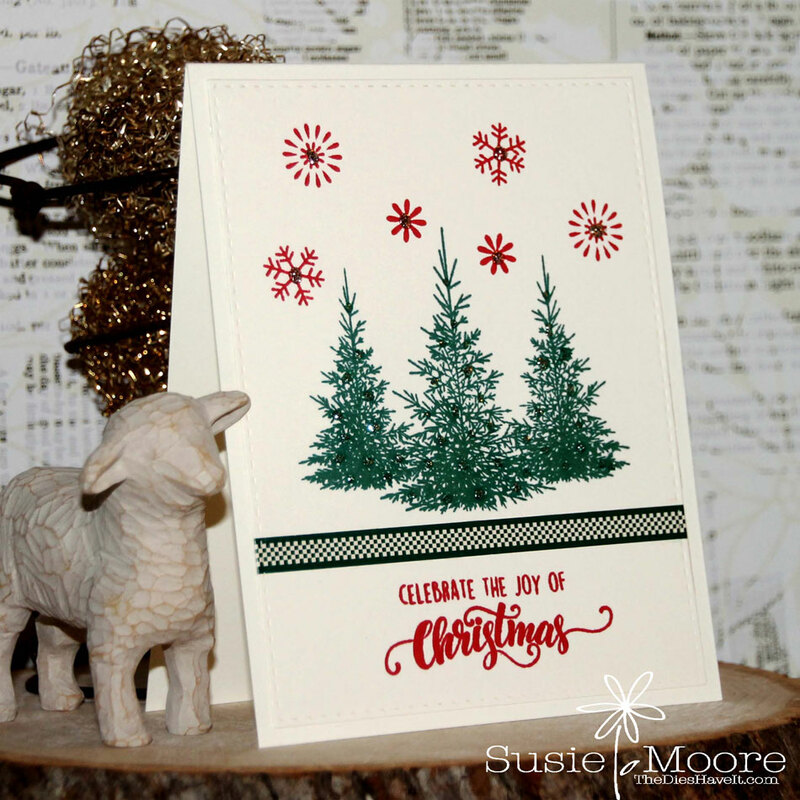 I love how elegant those pine trees look in the "Christmas Greenery" stamp set. The three tree stamp is lovely and you made such beautiful scenes with them. Enjoyed all of your cards. Lovely cards. Cute Tag card! Such beauties! Each one is spectacular and so different than the one before! WOW!!! Thank you for your inspiration! This will help me get a jump start when my kit comes. I love the green trees with the red snowflakes! Gorgeous!! Thank you for sharing your ideas! Love your cards! Your fairy card is adorable!!!! I love how you used the tree trio. Very nice. Beautiful cards. I really love that tree stamp. So very pretty. 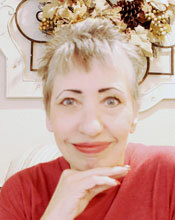 And I like the card with the three silver embossed trees and beautiful red sparkly ornaments! Yes, those trees are so realistic looking! WANT! Thank you for sharing your creativity with us. I love this hop and I love the new release!